Celebrating the diversity of institutions in the United States, Latin America, and Canada, Remix aims to change the discourse about museums from the inside out, proposing a new, “panarchic”—nonhierarchical and adaptive—vision for museum practice. Selma Holo and Mari-Tere Álvarez offer an unconventional approach, one premised on breaching conventional systems of communication and challenging the dialogues that drive the field. 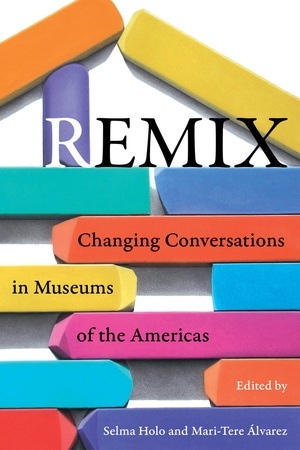 Featuring more than forty authors in and around the museum world, Remix frames a series of vital case studies demonstrating how specific museums, large and small, have profoundly advanced or creatively redefined their goals to meet their ever-changing worlds.